ESET NOD32 Antivirus offers excellent malware protection and adequate protection from other online threats like phishing. Easy installation, a self-configuring firewall, and quick scanning performance make this product a solid antivirus program. ESET NOD32 Antivirus is the entry-level version of ESET’s security services. It’s ranked among the top antivirus products by independent testing labs. 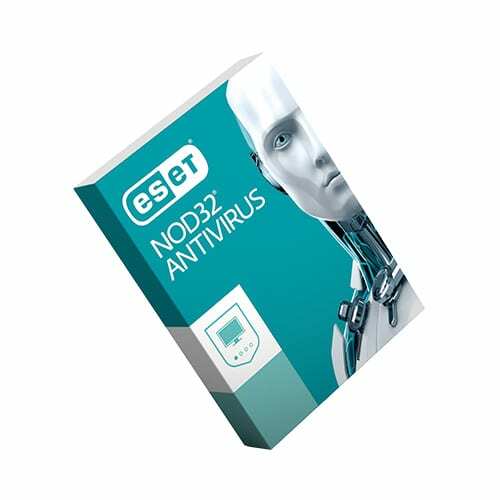 Known for its excellent ability to identify and disable malware without slowing down your computer, ESET NOD32 is a solid choice for Windows users. Additional security options, like password storage and protection for Macs and Androids, are available with upgrades to other ESET packages. If you tend to do most of your computing on mobile devices (Chromebooks, tablets, phones), you’re less likely to need an antivirus program since those always have antivirus and malware protection built into their operating system. However, ESET does have options for added protection there and even has options for parental controls on your children’s devices. Here’s an overview of a few of ESET’s most popular plans. While NOD32 is only for Windows, you can find ESET plans that work for different operating systems. To get started with ESET, you literally just have to click “install” on their website. It doesn’t get simpler than that. The worst thing an antivirus product can do is bog down the processing speed of your computer. Most users report that ESET did not do this, and when we tried it, our computers were not slowed at all by the antivirus scan. Many competitors offer round-the-clock customer service, but ESET reps are available only during standard business hours. If you want to use ESET for all your different devices, upgrades can get expensive fast. The protection from ESET NOD32 is good enough that Google uses it to keep Chrome safe. With clearly organized prompts and dashboards, ESET does a great job of making it easy for everyone to use the software. We really like the look of ESET’s software. It’s not cluttered or overwhelming. Constant notifications can get annoying quickly. ESET does a great job of notifying you only when necessary. VPNs are a big part of keeping your information safe, but ESET doesn’t offer this service. You’ll need to buy another product if you want a private network. ESET doesn’t automatically back up its software, so you’ll have to dive into the support forums or contact customer service to figure out how to do it yourself. ESET doesn’t have a feature that permanently deletes files—something that most antivirus software includes. You have to prompt the system to update the database, which can be easy to forget. I have Windows Defender. Do I need more antivirus protection? Windows Defender is a good start to protect your PC, but it doesn’t cover everything. A product like ESET can provide added protection from malware, phishing, and other online threats. Does ESET offer gamer mode? Yes. It automatically detects when an application has gone to full screen and will minimize its intrusions so it won’t interrupt what you’re doing. I use my tablet or my Chromebook—not a PC. Do I need an antivirus program? While ESET does offer software for mobile devices, most do not need separate antivirus programs because they are built into the operating system. Users who do choose to install a security program on their mobile devices typically want extra protection beyond the basic manufacturer settings. 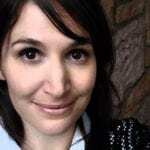 Does ESET offer products for small businesses? Yes. We reviewed home user packages but they do offer business packages for large and small companies. Who is ESET? Why haven’t I heard of them before? ESET has been a part of the antivirus and firewall market since 1992. It was founded in Slovakia and is still headquartered in Bratislava but also has offices in the US, Canada, Australia, and other countries. It might be its international focus that kept its profile in the United States a little lower than other antivirus brands. ESET NOD32 Antivirus is a very highly rated program that offers basic protection for PCs. ESET offers plenty of software packages to cover Macs and Androids too—though protection for multiple devices can add up quickly. ESET’s software offers solid protection, and it’s easy to use, but the products lack features like a VPN and file shredder that come standard with other brands’ antivirus packages. ESET is great at what it does: offering basic antivirus security. But if you need more advanced features, you may have to look elsewhere. We evaluated ESET NOD32 Antivirus by testing it out ourselves, talking to cybersecurity experts, and scouring online forums. For more information, see our Methodology.